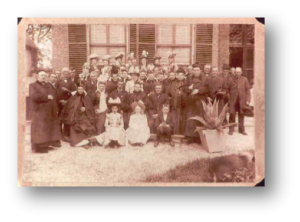 On June 27 2005 it had been a century ago since pastor Johannes Gallenkamp layed the first stone of the Vincentius building, a society especially for the people of Poeldijk. The evident necessity of this building was caused by the different arising of youth societies. Societies who lacked a room to develop or practice their activities. Pastor Gallenkamt even tried to found a building for the youth before 1900, but he didn’t succeed because of financial reasons. They had to make the best of what they got. That meant decorating a room in the old people home located at the corner of this street. If that wasn’t possible, they could ask for a room at the nuns. They had to improvise. 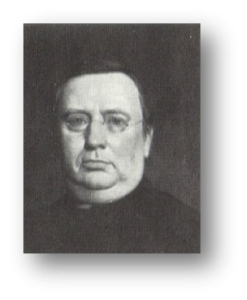 After Pastor Johannes Görtz died, Pastor Gallenkamp became his successor in 1891. Pastor Gallenkamp did a lot of work for the foundation of the societies and was the man responsible for the realization of the Society building in this village. But he would never have succeeded without help from an outside source. That financial source was mainly the huge amount of money prospected by Theodorus van den Berg (Dirk) He was a very rich grower in Poeldijk. As the rich and intelligent do, he had given his legacy a lot of thought. Besides the parishes of the Westland, the Vincentius societies could also expect a financial contribution. The Vincentius societies took a lot of altruistic effort for the most pore families of the parish. The societies and citizens that were mentioned in the will of Dirk van den Berg, were ever so blessed. They could count on several thousands of guilders, which was an enormous amount of money those days. The St Vincentius Society founded by pastor Gallenkamp could count on 15.000 guilders. But with the restriction they all had to wait before Theodorus passed away. As happened on new year day 1904. With all due respect, but his passing probably caused a lot of happiness. He had lived a life of luxury. And now Pastor Gallenkamp knew what to do with the money he had been given. With the consent of the church government, he could realize his ideal at the end of his career. On the parcel on the Voorstraat they could realize the Society Building. Businessman like Hein van der Haar and bricklayer/contractor IJsbrand Hagen got the building orders in the spring of 1905. At the foundation stone laying of the Sint Vinventius, executed on one of the first Summer days of 1905, numerous people from Poeldijk were present. From this occasion a photo has been taken. Unfortunately not a very good one. Pastor Gallenkamp and parish chaplains Borsboom and De Haas are recognizable, but the rest is a flop! Don’t be sad, the memory is still there and so is the building. The building became too small to house all the flourishing youth clubs in Poeldijk in the second half of the sixties. 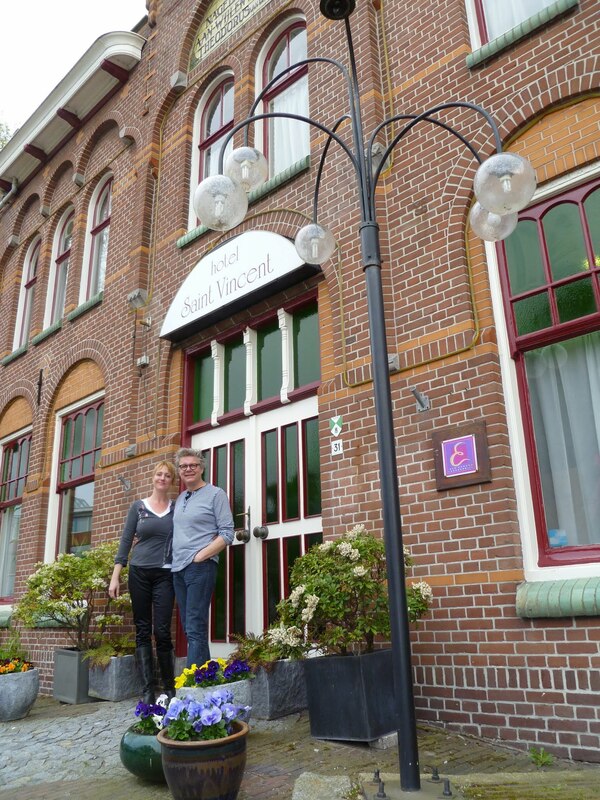 Searching for new accommodation was fruitless until the cut-flowers auction “Het Westland” wanted to co-operate with the flower auction form Honselersdijk. That fusion made a bigger building possible. The Sint Vincentius lost its function as society building. The era of weddings, and jubilees had passed. No more organizing dance courses, theatrical- and musical performances, meetings, relaxation night and last but not least ‘Sinterklaas’ parties. From 1967 the Youth Contact Poeldijk, later known as “Soos 67” is resident of the Vincentius building or the so called “The Bond”. Nobody would have used the degrading name ‘the Bond’ for this society building. Or it must have been as a nick name. At the moment that the old flower auction “De Leuningjes” her doors opened, it provided accommodation for all the clubs and societies. After a short vacancy and temporarily entrepreneurs, hostess Rosita Zolyniak and host Leen van der Kruk took over the building. They made it into a hotel and proved that the building was very suitable for other purposes, other than the ones so many people from the Westland have such fine memories of. In 2012 Leen and Rosita decided it is time to stop, and Maud and Marc Nagel took over the hotel. Excellent service, beautiful affordable rooms, friendly owners and personnel are making sure that it will continue in the second century of its existence. 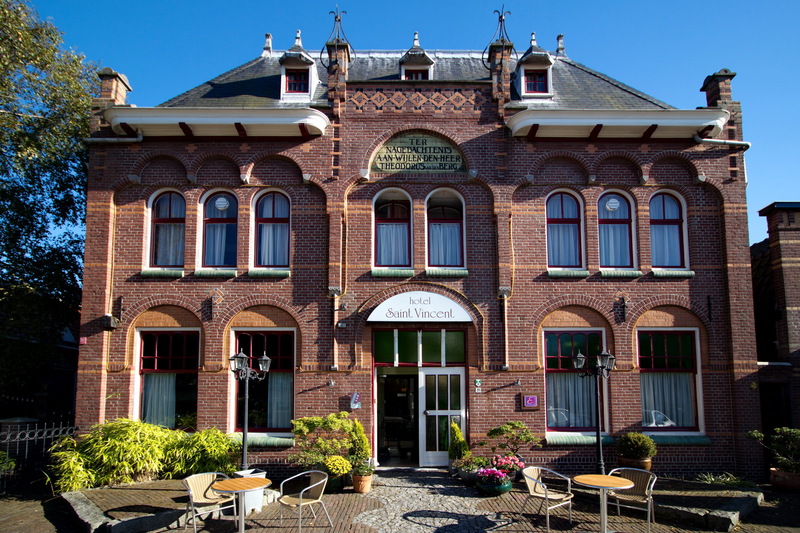 It’s architectonic masterpiece is serving Poeldijk for more than a century. And so is its plaque with the name of the founder Theodorus van den Berg in the front.